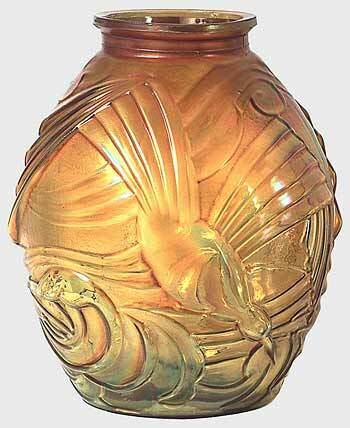 A huge vase, 11 inches tall with a 6-inch base, the pattern shows a bird in the art deco style. Thought to be of Czechoslovakian manufacture. A related pattern is Pebble and Fan.